In August 2018, Washington, DC, will become the ARCHIVES * RECORDS capital of the world! 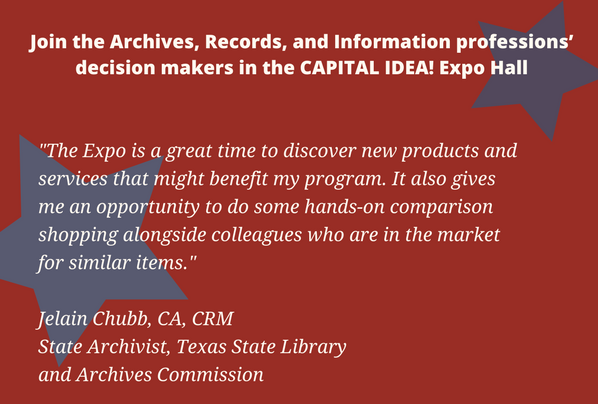 You’ll have access to the year’s largest audience of archives, records, and information professionals who are eager to learn about your products and services, ask questions, and provide their perspectives. The CAPITAL IDEA! Expo brings together—in one place and at one time—the purchasing decision makers at the national, state, and local levels. Take advantage of their great ideas—and share a few of your own! You’ll have lots of opportunities to interact with your current and prospective customers! Attendees will be drawn to the Hall for the Grand Opening Happy Hour on Thursday evening and three events on Friday: Morning Coffee Break, the All-Attendee Lunch, and the hour-long Last Chance Break. 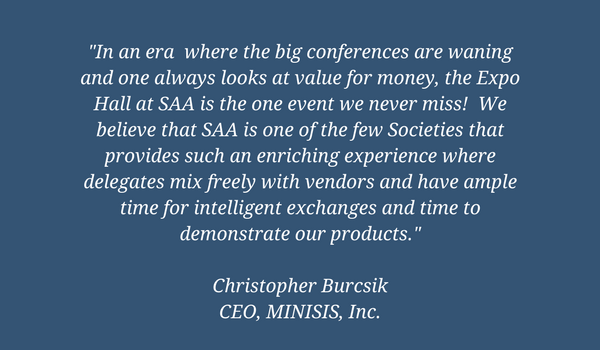 And each exhibit booth qualifies for two complimentary full conference registrations so that your representatives have a chance to interact with attendees throughout the meeting. 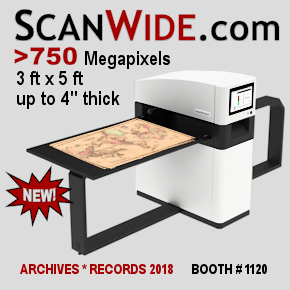 Two free conference registrations with each 8' x 10' booth (a $1,000 value!). Your representatives will interact with conference attendees at education sessions and networking events throughout the meeting. Two additional “Expo Hall only” passes for staff. A company profile in the Onsite Program, online schedule, and the mobile app. One fully piped and draped exhibit space (8-foot back wall drape and 3-foot side rail drape), one skirted 6-foot table, two side chairs, one wastebasket, and a 7” x 44” identification sign). To reserve your booth: Visit the Virtual Expo, where you can view a live, real-time floor plan showing currently available booths—and select and confirm your booth location immediately to be sure that you get the best available location.